Looking to sell a Terex digger or excavator? Do you have a Terex for sale? Is your Terex digger or excavator for sale? 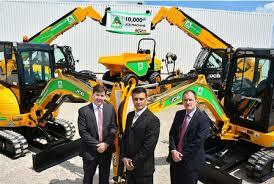 Need to quickly sell your Terex digger or excavator? If you have a Terex for sale, no matter the size or condition, then please don’t hesitate to get in touch with us. We can give you a fair cash price quote for your digger within a reasonable time and with no obligation to then sell to us once you have received your quote. The Terex Corporation is an American manufacturer of a wide range of heavy equipment in a number of industries, with a particular focus on the construction industry and machinery such as diggers and excavators. The company was formed in 1925 and has grown over the best part of a century to now manufacture in over 50 countries with their diggers and other machinery sold in more than 150 countries across the continents. From compact mini diggers and wheeled excavators to bigger machines for much larger scale operations, Terex has it covered with a make and model to suit your requirements. With such a broad range of products all with a high quality reputation and lasting machinery, it’s no wonder we’re interested in any Terex diggers you no longer need. If you’ve got a digger for sale be sure to get in touch with us using our contact form. 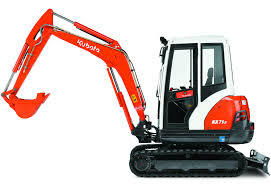 Let us know a bit about your digger, and include some photos if you can, for the chance to receive a no obligation, quick quote for your digger. We pay cash for all machines, and do all the hard work so the only decision you have to make is when you want us to take that old digger off your hands. So if you’re looking to sell your Terex digger or excavator or have a Terex for sale, simply get in touch today?